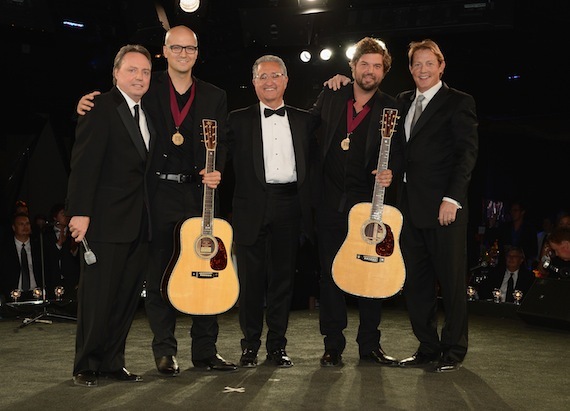 BMI honors Songwriters of the Year Luke Laird and Dallas Davidson. (L-R): BMI's Jody Williams, Luke Laird, BMI's Del Bryant, Dallas Davidson and BMI's Clay Bradley. Tuesday night’s (10/30) BMI Country Awards honored the Country Songwriter, Song and Publisher of the Year, as well as legendary songwriter Tom T. Hall and the writers and publishers of the past year’s 50 most-performed songs on radio and TV from BMI’s country repertoire. The exclusive event was held at the organization’s Music Row offices. Songwriter of the Year: Dallas Davidson, “Country Girl (Shake It for Me)” and “I Don’t Want This Night to End” recorded by Luke Bryan; “If Heaven Wasn’t So Far Away” by Justin Moore; and “Just a Kiss” and “We Owned the Night” recorded by Lady Antebellum. Songwriter of the Year: Luke Laird, “A Little Bit Stronger” by Sara Evans; “Baggage Claim” by Miranda Lambert; “Drink in My Hand” by Eric Church; “You” by Chris Young; and “Take a Back Road,” recorded by Rodney Atkins. Song of the Year: “Take a Back Road,” Luke Laird and Rhett Akins. Published by EMI-Blackwood Music, Inc. and Universal Music Careers, the song earned more than one million performances in 2011, making it one of the most-performed songs of the year in any genre of music. 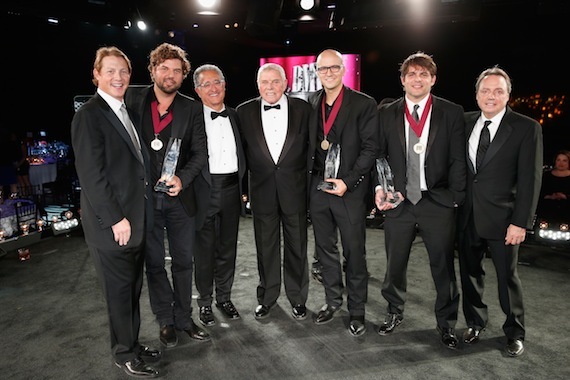 Tom T. Hall was named BMI Icon and saluted with a musical tribute by The Avett Brothers (“That’s How I Got To Memphis”); Dailey & Vincent (“Can You Hear Me Now”); Justin Townes Earle (“Homecoming”); and Toby Keith with Scotty Emerick (“Faster Horses (The Cowboy And The Poet)”).